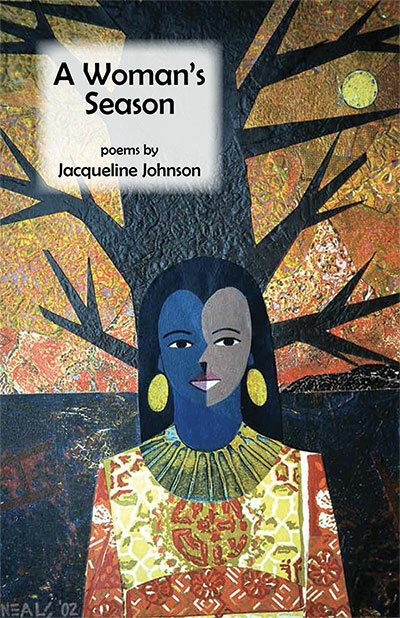 Jacqueline Johnson, is a multi-disciplined artist creating in both writing and fiber arts. She is the author of “A Gathering of Mother Tongues” published by White Pine Press and is the winner of the Third Annual White Pine Press Poetry Award. She is a graduate of New York University and the City University of New York. 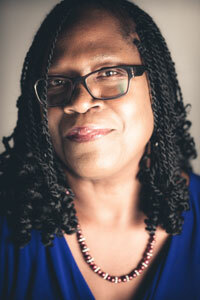 Her work has appeared in Fifth Wednesday, Callaloo, Renaissance Noir, Tidal Basin Review and The Wide Shore. Ms. Johnson has received fellowships from the New York Foundation of the Arts, the Mid Atlantic Writers Association’s Creative Writing Award in Poetry and McDowell Colony for the Arts. She is a Cave Canem fellow. A native of Philadelphia, PA., she resides in Brooklyn, New York. –Opal Palmer Adisa, author of 4-Headed Woman. 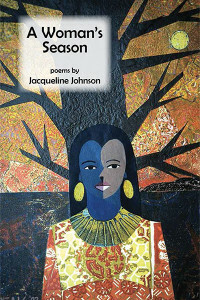 “Five hundred years of black women reside” in A Woman’s Season, following the “Ancient path the goddess travels” and “listening to the /orchestra of all living things.” Here, “beneath [their] masks a monsoon gathers,” here the “yet open fields of our future billow.” Here are poems not in need of a drum for accompaniment, for they are “chant, / sea-island moan, / a priestess prayer song.” Listen. drone of a poly string banzatar bass. How do women count time? hunger wide as a canyon. of all the women before me. Newly dead bereft of kin and clan. real is what she craved. Bearing a body too large to hold. A body too large to hold up.